Providing you the best range of dehydrated spinach leaves, dehydrated palak leaves and spinach leaves with effective & timely delivery. 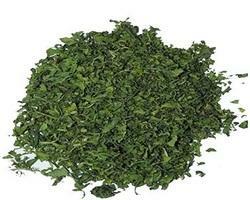 Our company is involved in manufacturing and trading Dehydrated Spinach Leaves. Added in food items of various cuisines, the offered crispy and dark-green leaves are an excellent source of vitamin K. Rich in omega-3 fatty acids, dehydrates spinach leaves contain vitamin C, which serves as a powerful antioxidant, helping the body develop resistance against infectious agents. 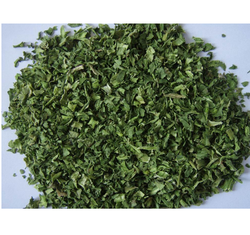 We are among the renowned names of the industry for proffering Dehydrated Palak Leaves. Processed under a certain temperature, palak leaves are good for arthritis, asthma, osteoporosis and migraine headaches, owing to the excellent anti-inflammatory properties. 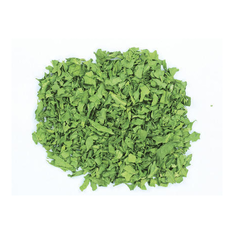 Provided in airtight packaging, dehydrated palak leaves are an excellent source of iron. We are involved in manufacturing and trading Spinach Leaves. These dehydrated spinach leaves are of green color and do not contain contaminants or any added artificial coloring matter. The dehydrated spinach leaves have characteristic flavor and odor of fresh leaves and do not contain case hardening, scorched, musty, hay-like and other objectionable flavors and odors.